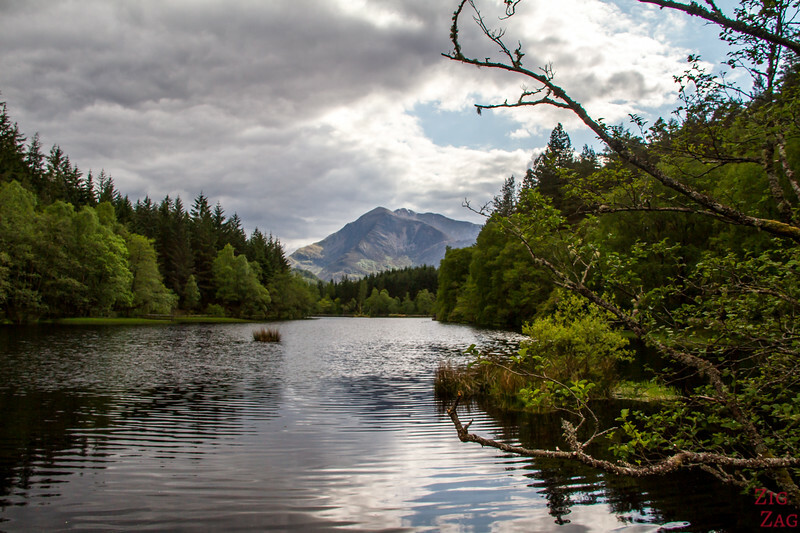 If you are looking for an easy walk in the Glencoe area, I recommend the Glencoe Lochan Walking Trail. 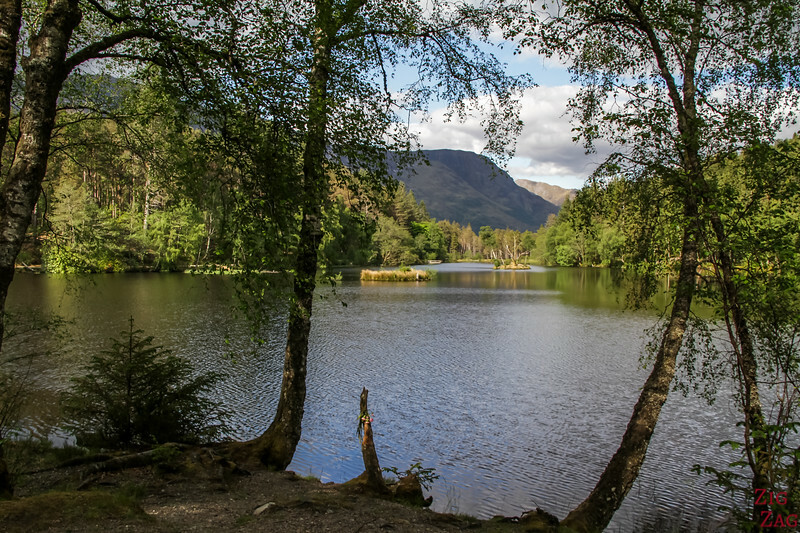 After admiring the bare Glen Coe on A82, end your day walking around the little lake, under the trees and protected by the surrounding mountains. 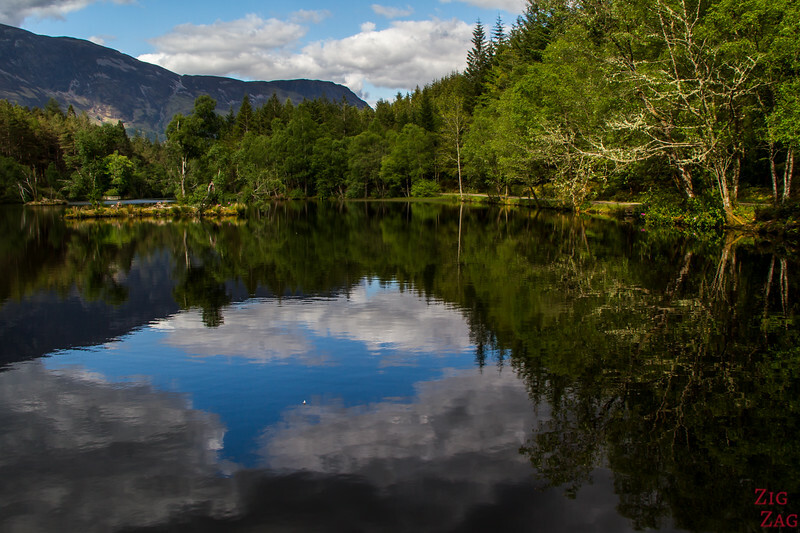 And you may be lucky and get amazing reflections! Check out the photos, the short video and the information to plan your walk. Let's start with a short video to give you a feel for the walk. 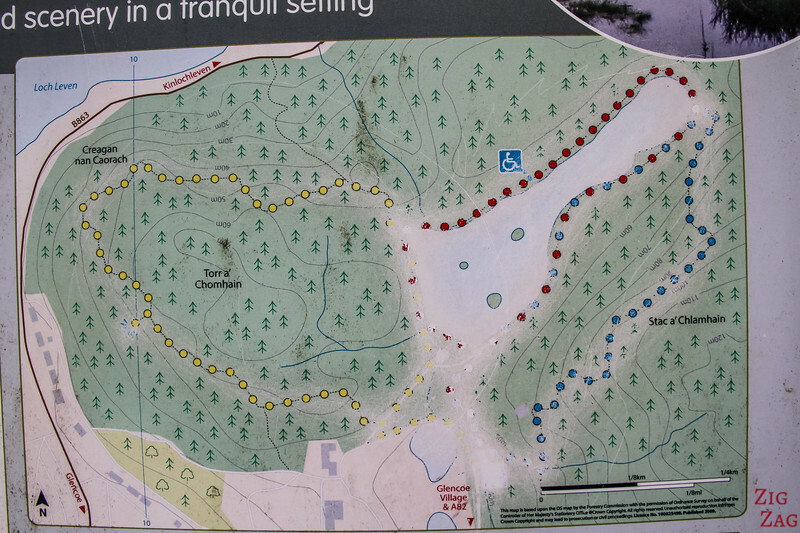 Further down you will find directions, lengths, infos and photos to plan your visit. 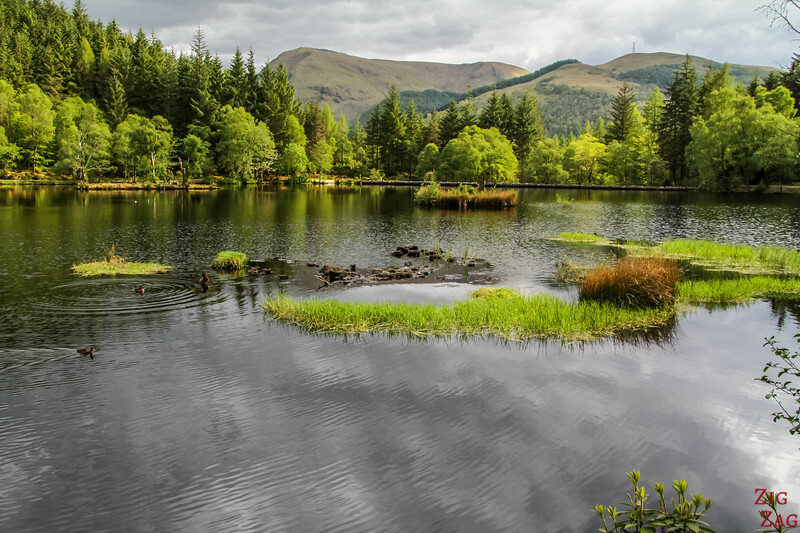 Not far from the town of Glencoe is a little lake called Glencoe Lochan. 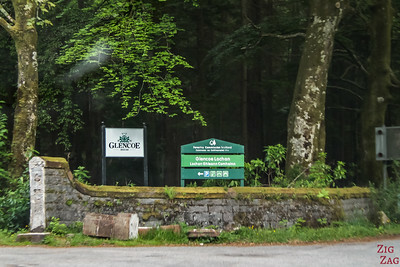 The area offers 3 walks in the forest. 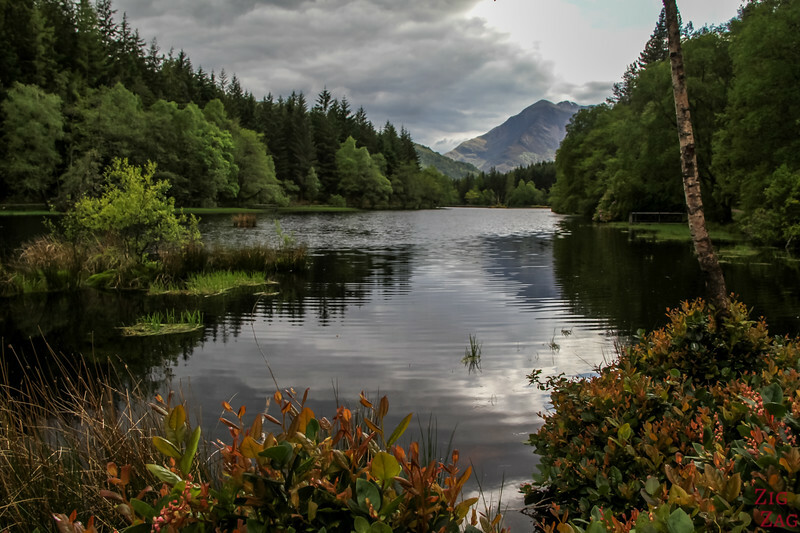 The main one is around the little lake called Glencoe Lochan. 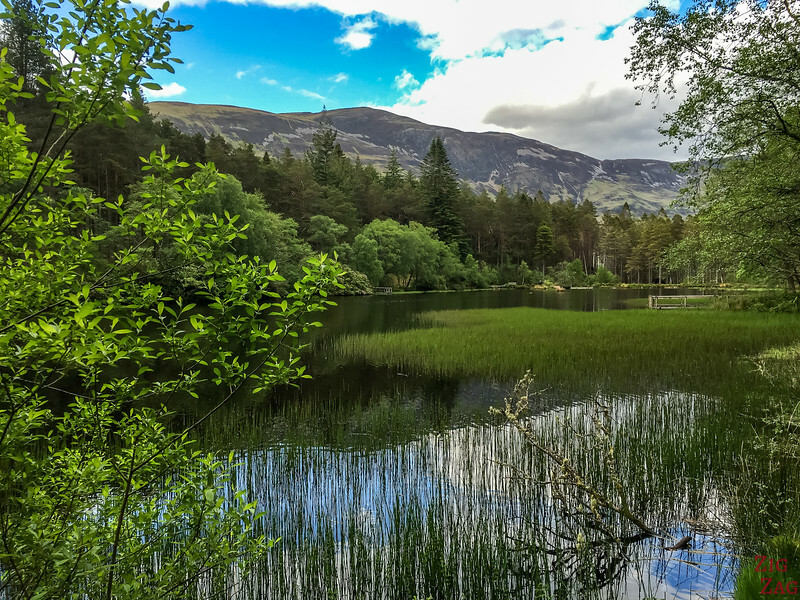 It does not have the grand views and bare landscape of the drive through Glen Coe or the many harder hikes available in the area. But after a day driving, it is a pleasant and serene walk. 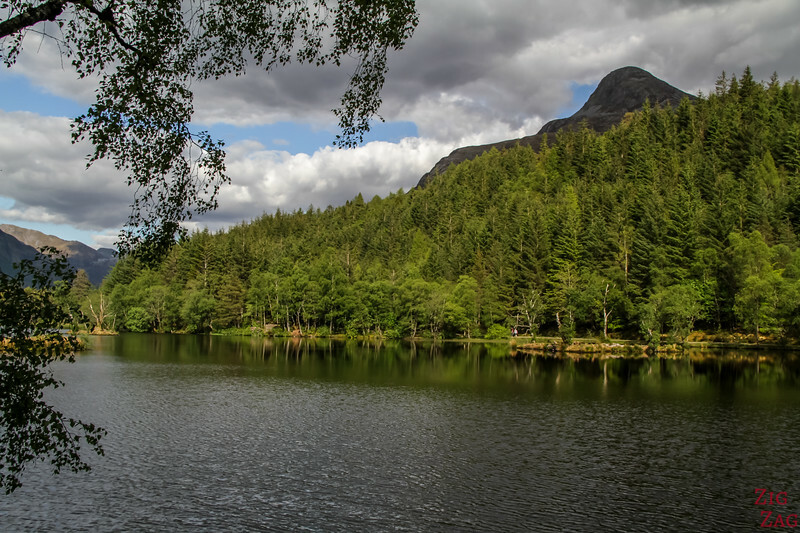 And to explain the difference with the bare landscape of Glencoe: This wood was started in the 19th century by Lord Strathcona to remind his wife of her homeland: Canada. 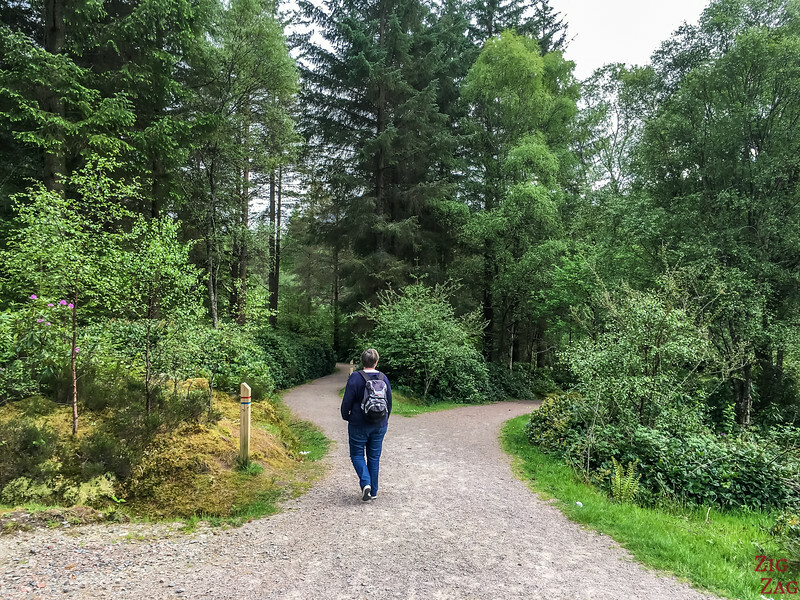 There are 3 trails at Glencoe Lochan. 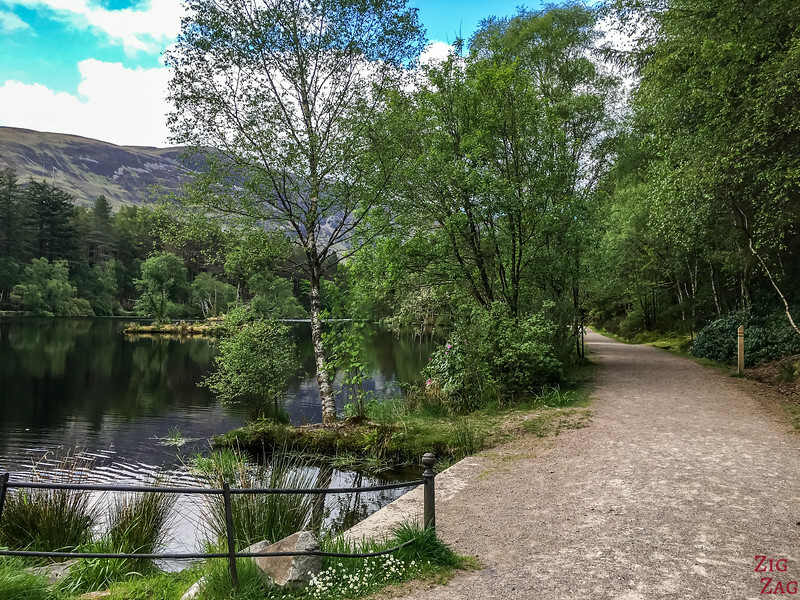 The main one is around the lake and loops back to the parking. 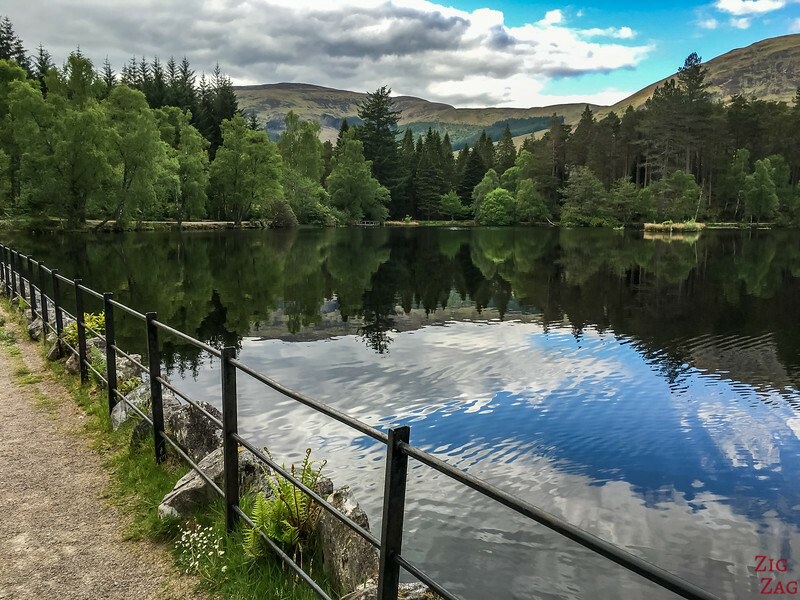 The Tour of Lochan is an easy walk accessible to wheelchairs. 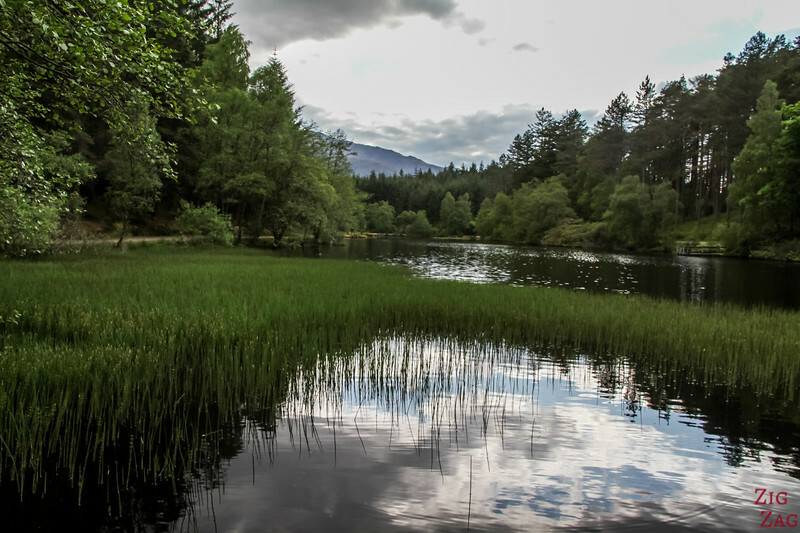 It takes 5 to 10 min to reach the lake on a gentle slope and 45 to do the whole loop with many photo stops. 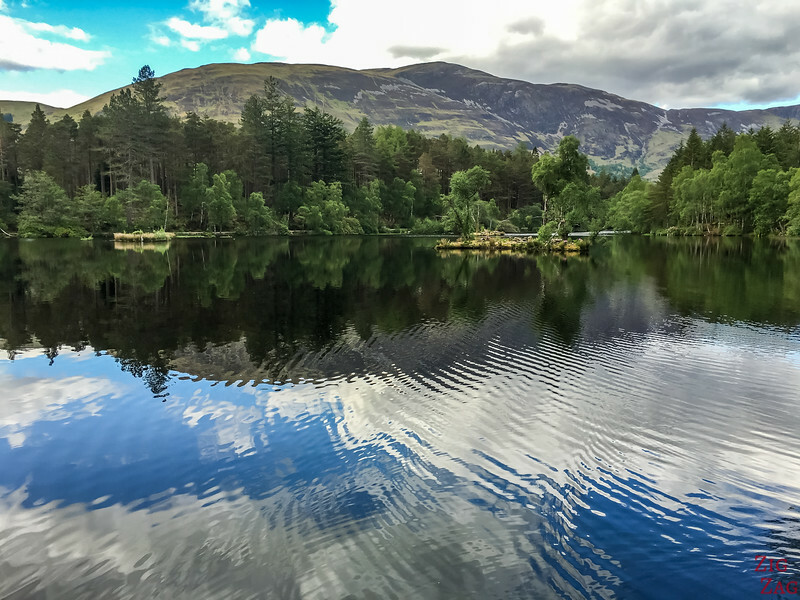 Glencoe Lochn, along with many other beautiful places, is included in my eBook: The Road Trip Guide - Scotland. 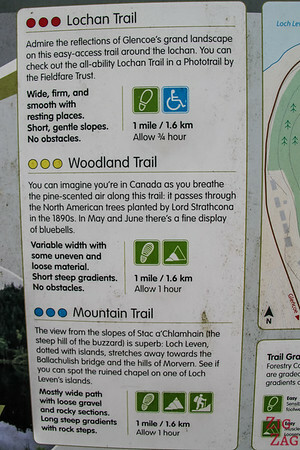 After reading around the Internet, I decided not to do the mountain trail as most people explained that because of the trees the views were really limited (as of 2016). There is absolutely no way to get lost... 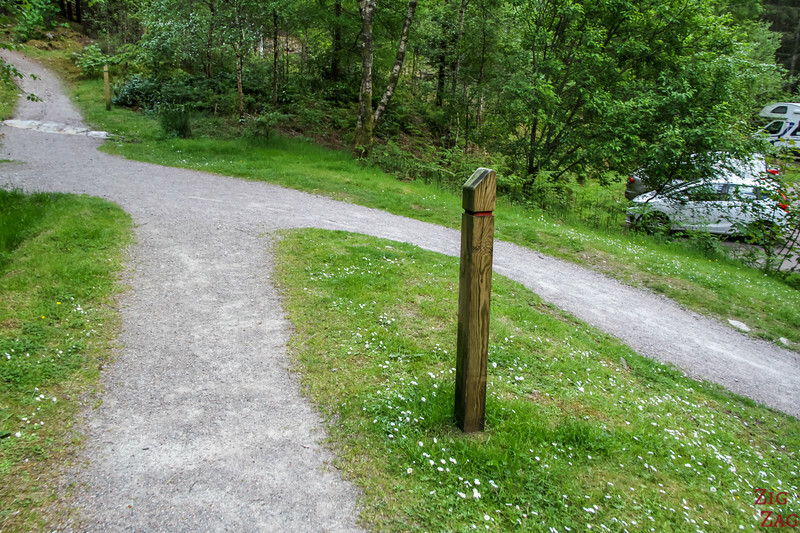 Path is well maintained and indicated with wooden poles with colors. 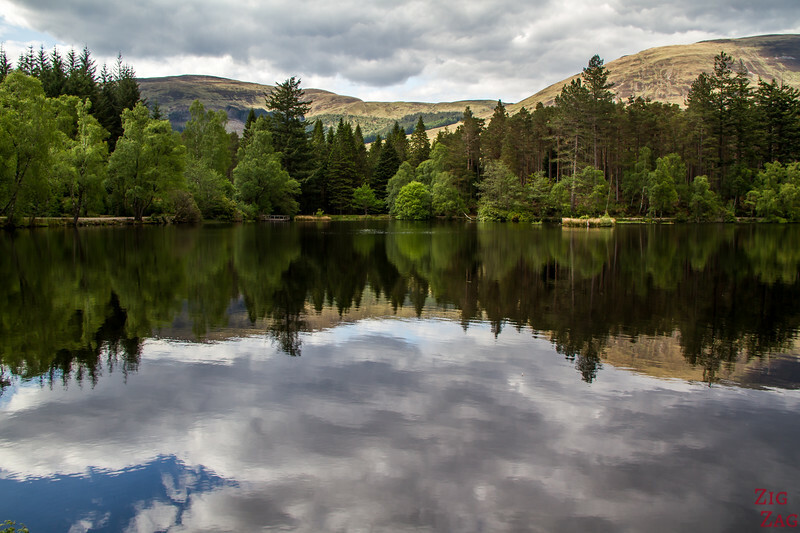 As I arrived at the lake towards the end of the afternoon, I was lucky to be treated with amazing reflections. 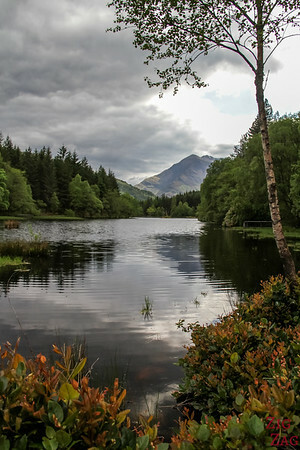 The Lake is surrounded by trees and above you can see some of the mountains peeking through the clouds. 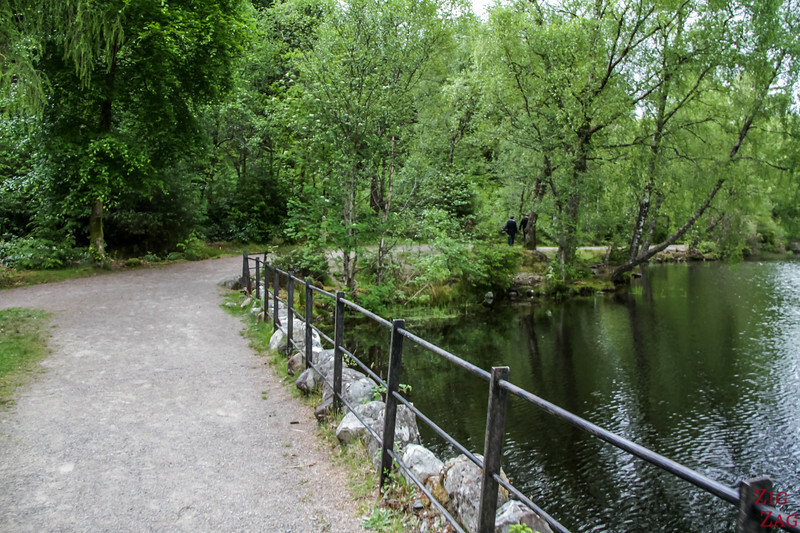 The path goes under the trees as you discover the shore of the lake. Other peaks appear above the trees. The place is really peaceful. 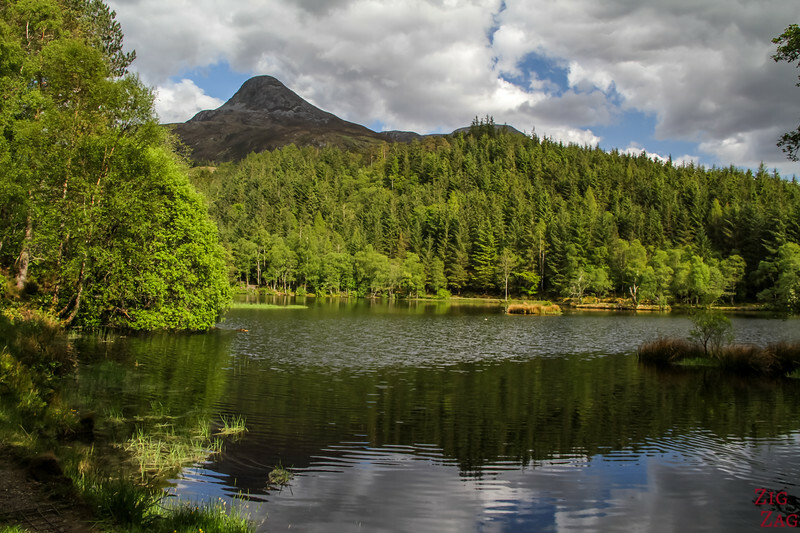 If I am not mistaken, the pointy summit below is the Pap of Glencoe, culminating at 741 meters. 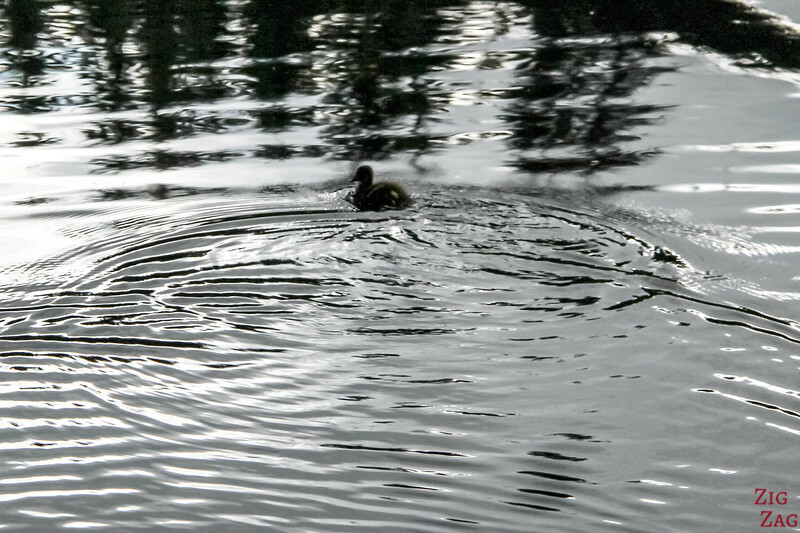 And even though I had taken many pictures as I arrived at the lake, when we finished the loop I took some more... Simply stunning! 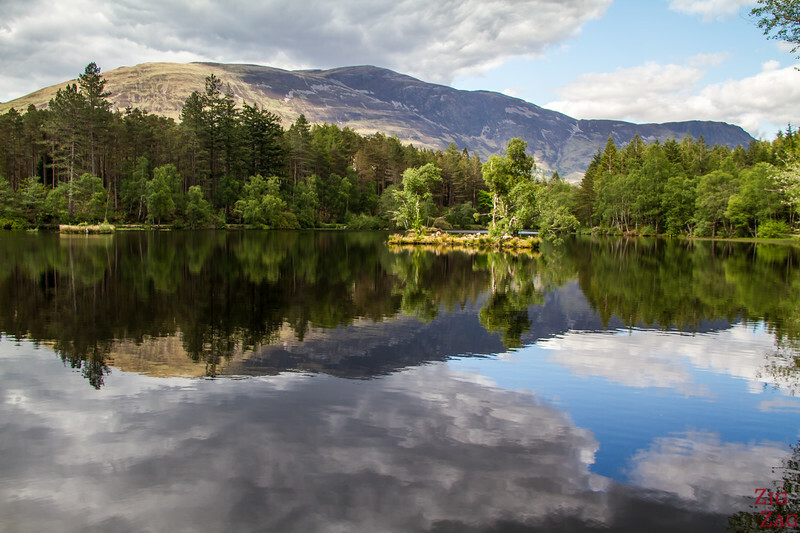 You can stay in Glencoe Village or KinlochLeven with amazing views of Loch Leven and the mountains. Enchanting place, don't you think?